Today we are featuring Through Many Fires by Kyle Pratt. Below is my interview with author Kyle Pratt. 1. Most of our readers live in big cities, and it is a big concern that cities will become unsafe in a widespread disasters such as the ones described in the book. What would you advice city dwellers on improving their chances to survive a large scale disaster; or is survival in rural areas the only way to go? Cities like New York, Chicago and Los Angeles are not going to be livable in a major, grid down, disaster. Food would quickly disappear from the stores and water stop flowing from the tap. You might as well be in a desert. I live in Washington State. In any major disruption of the complex web of services that make up life today Seattle would be unlivable, but law and order, and life in general, might be maintained in Spokane. Find the medium or small town and move there. If your job requires that you live in a city I’d say the smaller the better, or move to the suburbs. Wherever you are store enough food, water and fuel to get out of town. Know beforehand where you are going and two or three ways to get there. Buy a gun and learn how to use it. Also, get to know your neighbors. In a disaster it is nice to have friends on your street. Organize a neighborhood watch. Preparing is like insurance, you buy it and hope you never have to use it, but when you need it you’re really glad you have it. 2. How fast do you think society would unravel if a string of disasters were to happen? In a grid down situation society will unravel quickly. When water stops flowing from the taps panic will ensue. Food will disappear from the stores within three days. People will start leaving the cities and that will clog the freeways. Gridlock will exacerbate the all of the problems. Think of New Orleans and hurricane Katrina. 3. Please tell us a bit about your background. I grew up in the mountains of Colorado before the Internet and out of the range of television and most radio stations. Before moving there I had never read a book, but one day during junior high in a moment of desperation I picked up a science fiction novel by Robert Heinlein. Before I graduated from high school I had read every novel Heinlein had written at that time and many other books by Isaac Asimov, Arthur C. Clarke and others. Since that first day I have been a constant reader of both fiction and non-fiction. I developed a keen interest in apocalyptic fiction and have read all the classics in the genre including, Alas Babylon, Earth Abides, On the Beach, I Am Legend and Lucifer’s Hammer. I earned an Associate in Arts degree from Mesa State College in Grand Junction. When money for college ran low I joined the United States Navy as a Cryptologic Technician. I thought I would do four years and then go back to college. Sometimes life doesn’t work out the way we plan. My first assignment was with a U.S. Navy unit at the Royal Air Force base in Edzell, Scotland. While on leave in Israel I met Lorraine Best from Plymouth, Devon, England and married her in her hometown the next year. Our first son was born while we were living in Scotland. Together we spent the remainder of my twenty year naval career traveling around the world to Guam, Japan, Hawaii and other places. Even before I retired from the service I was writing short stories. I released my debut novel, Titan Encounter, in July of 2012. My second book, Final Duty – The Speculative Fiction Anthology, was released in January of 2013. Through Many Fires was released last August. All of my books have been on Amazon bestseller lists. Through Many Fires is still a bestseller. For the last seven years I have lived and worked as a teacher in the Yup’ik Eskimo village of Eek, Alaska and during the rest of the year I live on a small farm in Western Washington State. Yes, it’s a really long commute. Now that my writing is taking more of my time, and earning me more, I will probably retire to the farm at the end of this school year and just write. 4. How much research did you have to do while writing this book? How long did it take to write? As I said, I spent 20 years in the navy, and my youngest son served in the Army so, we had the military culture, lingo and equipment pretty well covered. I did read several eyewitness accounts of nuclear explosions for that part of the book. I don’t dwell on technical details like some survival novels do, but if I mention a radio, gun or some piece of equipment the details were either known to me or my son personally or I researched it to ensure it was correct. I added a glossary to the back of the book so those unfamiliar with weapons and military terms would have easy access to the information. Through Many Fires took me well over a year to write, but I can’t say exactly how long it took because I don’t remember precisely when I started. 5. When is the next book scheduled for release? Any plans for other books? I’m currently writing a sequel to Through Many Fires titled A Time to Endure. That novel will be released later this year, but I don’t yet have a release date. I’m planning a three or four book series. I don’t know what I’ll write after that, but I will be writing. If you readers send an email to kyle@kylepratt.me with “A Time to Endure Release” as the subject I’ll add their email address to the list of those to be notified when the book is released, or they can sign up for the free monthly newsletter at http://www.kylepratt.me In the next few months I’m going to release draft chapters and the cover design for A Time to Endure in the newsletter. I am retired Law Enforcement and spent time in Homestead, FL after Hurricane Andrew. The city is a poor place to try to survive without infrastructure. I have established a Bug out location at a friend’s farm about 120 miles away. I am currently stocking it with food, meds and necessary items for survival. My plan is to go there in case of a major jolt to the urban area I live in now. I grew up in the Los Angeles area and lived through several earthquakes. I saw the devastation that 45 seconds of rattling can bring. Since then I’ve lived in Georgia, when Hurricane Opal ripped through Atlanta. Our apartment complex was untouched but the next was demolished. I lived in a suburb of Fort Worth when a tornado destroyed a downtown Fort Worth glass building. I watched it from a bedroom window. I’ve lived in Rhode Island and seen what a nor’easter can do. I now live in southwestern New Mexico, over 100 miles from the nearest “big city”. Part of the reason we’re here is because of the kind of scenario Mr. Pratt has written about. It’s not a consumer paradise, but it’s a quiet, remote and friendly community. We’ll make our stand here. I am very concerned about being in a city during a disaster, I live in the Tampa Bay area and with being right next to Macdill Air Force base, it could be pretty dangerous. Not too long ago I had to go into Tampa for errands, and looking at the tall buildings and large population, I could only imagine the chaos that would ensue, especially in an attack like the one described in “Through Many Fires”. My preparations include staying out of the city altogether, I live on the otherside of the bay, so I only go into Tampa when I don’t have a choice. The wife and I also have bags packed ready to go, I have a concealed license and the wife has her gun, and we’re both prior military trained. And if we do happen to get stuck in the city during a disaster, our plan is to move quick but lay low. A couple years ago I moved out of a mid sized city and bought a little place out in the surrounding rural area. Plenty of space for gardening, and I plan to get hens for eggs eventually. I’m prepared with food storage and supplies for my immediate family, who are all close. We live in a small farming community (in town), but much to close to a central OH city for my comfort. We would most certainly get overrun in any major disaster. We are constantly on the lookout for a more rural home, we do like the community we are in, but want to be further out. I recently graduated high school and I’ve known about prepping for the past 3 years. I live in a city with roughly 80k people so not a major city. I’m growing a garden and collect water from the roof of my house and garage. I have a bug out location less then 30 minutes from my house, but I also live 10 blocks from the center of downtown. I have some preps but not nearly enough but I am working on that. Our main concern is travel through the fringe of a small city on our way to our bug out location. Exiting the city, if there during a SHTF situation would not be bad as we would be out within minutes of event. Its the decision on timing the bug out and traveling that fringe area that bothers me. Although we have alternates it is this route that is our primary and easiest. We hope that what ever the SHTF situation is, we are not require as bug out and we can hole up at our homestead home. I wanted to thank everyone for checking out the interview and posting comments. Thank you all! Thank You for the chance to win a copy of your work. Always looking for a great read and this looks like a good one. Thanks for a chance to win your book. I appreciate your generosity and this blog. Unfortunately I’m required to live in a city at the moment due to work. However, I do live in the suburbs and commute in. The commute is worth it should anything ever happen. I do think the city would not be anywhere I’d want to be should something bad happen. A true SHTF situation would radiate out from the city as well as people moved farther out. The best bet would be to have a BOL for a catastrophe type situation. However, in a more localized or shorter duration type situation, the city would be the first place where everything would be restored and jobs would remain. So to answer the question, it depends on what disaster it is. Thank you – good article! I live in the middle of two major cities. Each one is 30 minutes away one north and one south. Not to mention the outlying areas. I am afraid of the mobs leaving and looting. Our area has already seen major crime increases as unemployment has increased and food prices keep increasing. We have large dogs for first line of defense and then it gets trickier. No one in my family preps. One did about year ago but when “nothing happened” they stopped. I believe any assistance will be sent to those cities first so if we can survive I initial crises hopefully our trouble makers will head there for better pickings and we will be OK. I am concerned about living in the city when the balloon goes up. I live in a suburb outside of Chicago. I see how people act when products are on sale at the grocery store and I think it will be much worst when society crumbles. At this time I am looking for work and buying food when I can. At first I am thinking of hunkering down at home then moving out as things get dicey. I realize that if things get really bad I will have to leave. While I agree that being in a smaller city or town when the grid goes down is a good idea, it’s not always fool proof. We live in tornado country, and when one struck my mother’s hometown not too long ago, even that small town was without basic utilities for a few days, some parts for more than a week. I guess preparing for several different scenarios is the best way to go. I live in a small town in the Shenandoah Valley; we are one and a half hour’s distance from Washington D.C. I am most concerned about my adult children who live in or near DC. I am preparing for our extended family and would hope that we could shelter in place. I am always expanding the garden and have built a significant pantry, thanks to coupon deals. There is always more to do but this is a start. I live in the suburbs of a medium size city and work on the edges. I have my get home supplies with me during the day. I stock some extra food and water and can wait out the first stage. I keep the gas tank well over 1/2 and have a couple of gas cans that should get me about 600 miles away. I can’t wait to read this book and the others that follow. I am a baby prepper, and overwhelmed with where to start, but yes, living next to a major city scares me. Every nightly newscast shows shootings and fights and robberies. I can’t imagine what a breakdown would cause – I worry about protecting my kids. Long term power grid failure worries me the most.I live on the edge of a city with a population over 100,000.I think we could hunker down for something short term,but will have to relocate to a relative’s home farther out in the country when things start getting dicey. I live near Fort Worth TX in a smaller town altho my concern will be after some time has passed and people start to run out of food. I personally have a food storage system and protection and will try to grow my own food with a group of other like minded individuals. No one can do it on their own. You will have to sleep sometime and having someone to watch your back and help survive is key. We’ve lived through two serious weather problems in a major city. Neither time was fun, nor were we 100% prepared. We were better prepared than most of the people around us though. We learned a lot from each experience. We made it through on what we had. We lived through no heat or electricity for 7 days. Within 24 hours stores were out of basic necessities. No batteries, propane, water, milk, etc. 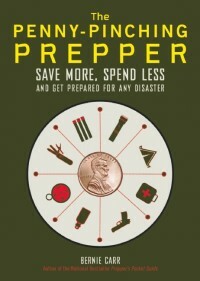 We no longer live in a major city area and we are better prepared. Traveling sometimes takes me to different states and cities. We have a plan before I go. We do the best we can to prepare; pray and trust God. No, I live in a pretty small town. I’m worried but different worries then I would have in a big city. So to allevieate the worries I do have I try to have a balanced approach to prepardness with some of the neccesities in all of the areas. It’s fun sometimes to stock up on ammo and overlook food, etc. Living in a big city realy pose some problems: you better move to a small town or the countryside and become as independant as possible, ofcourse all in good relationship with neighbours. Maybe one can form a small comune, each with his or her own specialty whilst everyone is stocking up food and supplies for own use. We experienced a massive power failure here last year (3 days without electricity), luckily we were prepared andl lived comfortable through it. Others weren’t that “lucky” and were already panicking… We all learned from it..